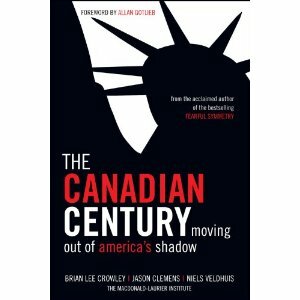 The Canadian Century, moving out of America's shadow is an inter-institute effort by Brian Lee Crowley (MacDonald-Laurier Institute for Public Policy), Jason Clemens (Pacific Research Institute), and Niels Veldhuis (Fraser Institute). For years Canada has lived in the shadow of the United States. No more. As the authors argue, while the United States was busy precipitating a global economic disaster, Canada was on a path that could lead it into an era of unprecedented prosperity. It won't be easy. We must be prepared to follow through on reforms enacted and complete the work already begun. If so, Canada will become the country that Laurier foretold, a land of work for all who want it, of opportunity, investment, innovation and prosperity. Laurier said that the twentieth century belonged to Canada. He was absolutely right; he was merely off by 100 years. I usually do not read books on economics but this one intrigued me. It is just new to the bookshelves so the information and arguments are all relevant to today. 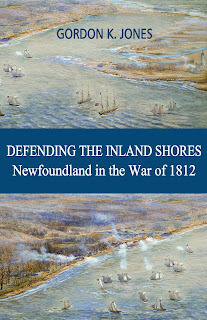 I know the U.S. has been in the doldrums for some time but wondered what the authors thought our advantage was. I have never been much for free trade, the GST or HST but the book explains these well, and I now have a better understanding of their importance. The book focuses on what Canada has done well in the past 20 years, what we did poorly before that and what we need to do. I do like and agree with the quote from Allan Gotlieb, who was Canada's former ambassador to the U.S on how we must deal with the U.S. "For any initiative to succeed, it must meet a number of conditions. It must be bold, it must come from Canada and be espoused at the highest level. It also must be comprehensive so as to allow trade-offs and broad constituencies to come into play. It must address the the U>S> agenda as well as ours"
The book is easy to understand and an interesting look at our country today. Definitely worth a read.